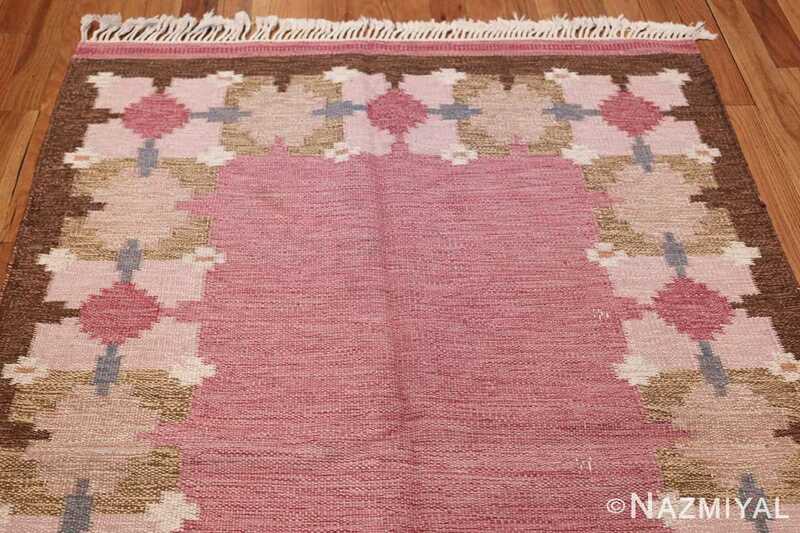 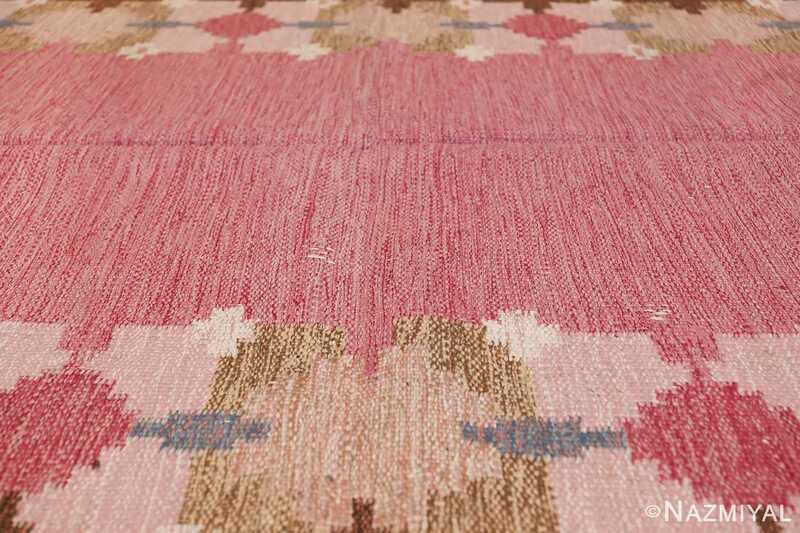 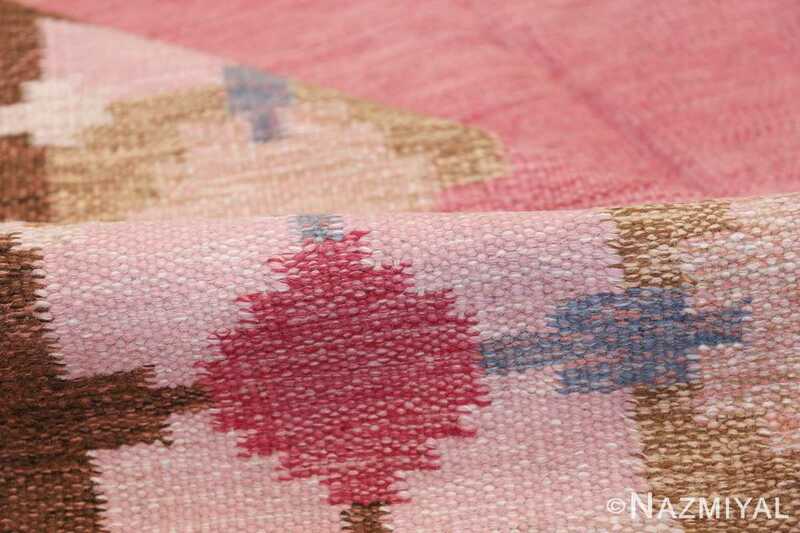 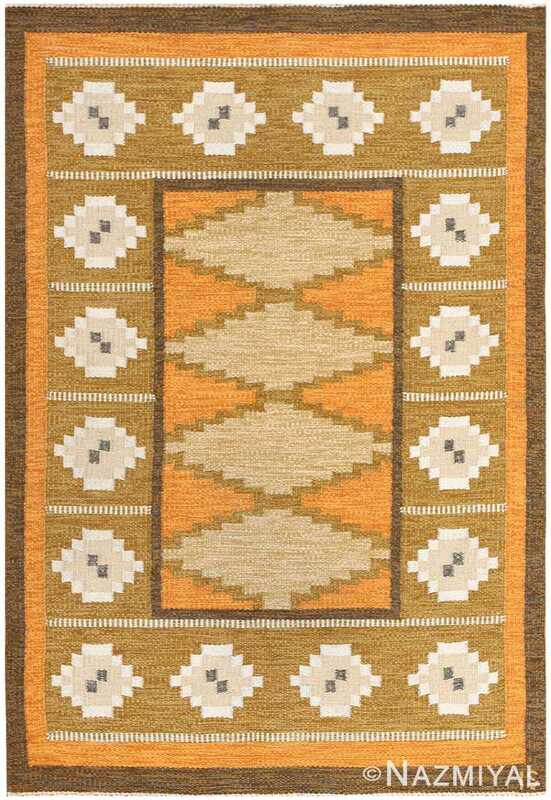 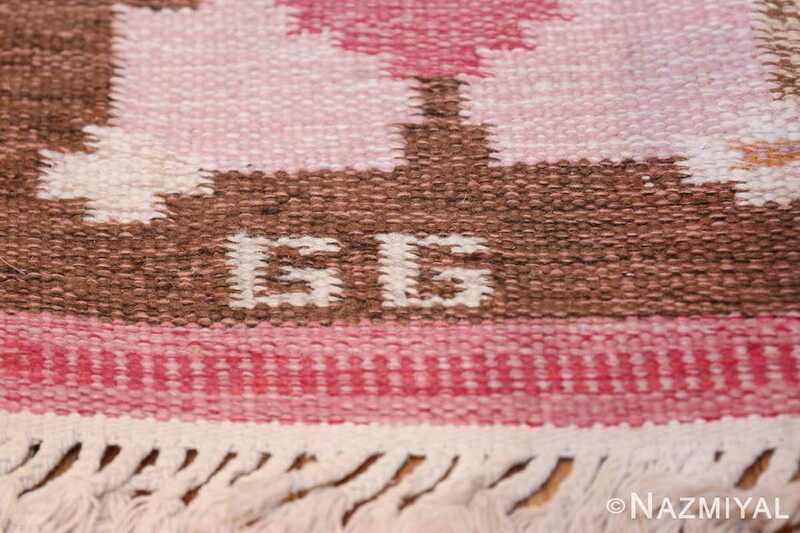 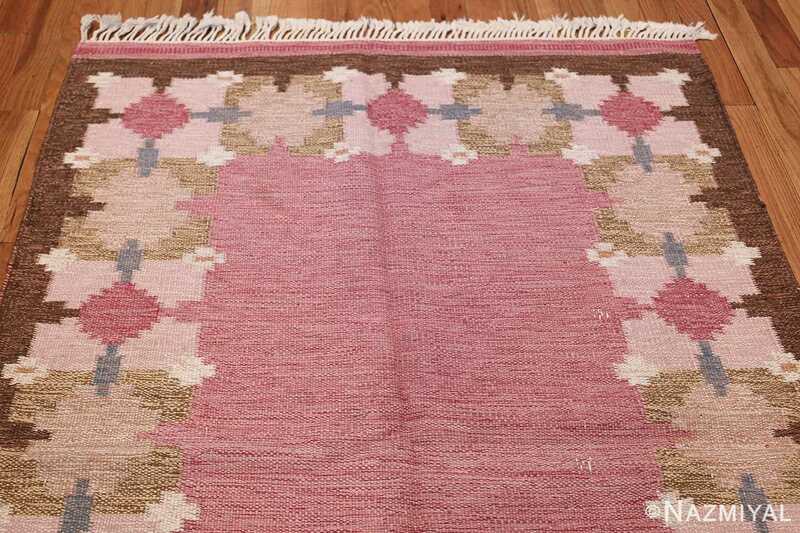 Vintage Swedish Kilim by Gitt Grannsjo Carlsson, Origin: Sweden, Circa: Mid-20th Century – Here is an exciting and appealing vintage carpet – a Swedish kilim that was woven in Scandinavia during the middle years of the twentieth century. Among the most popular vintage carpet styles currently available, Mid-Century Swedish kilims and rugs are celebrated for their exciting aesthetic, which may be described as a coming together of traditional Scandinavian design and contemporary sensibilities. 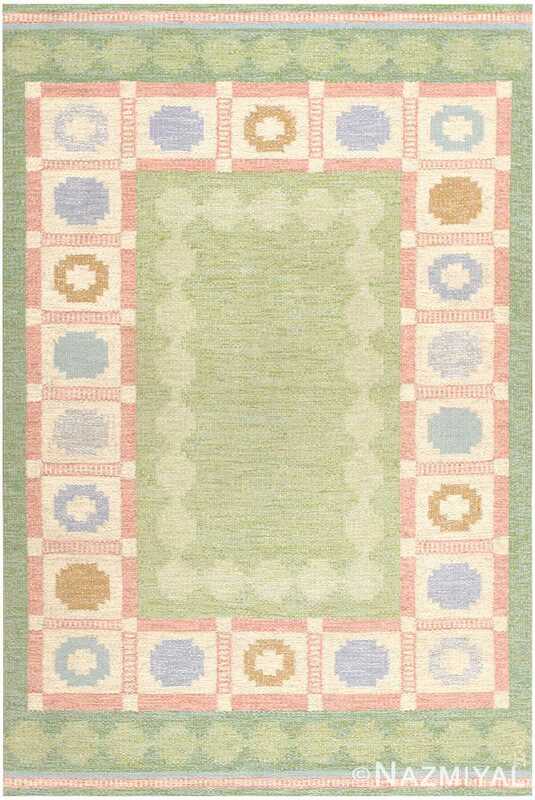 This particular example beautifully demonstrates this trend, especially in its overall composition. 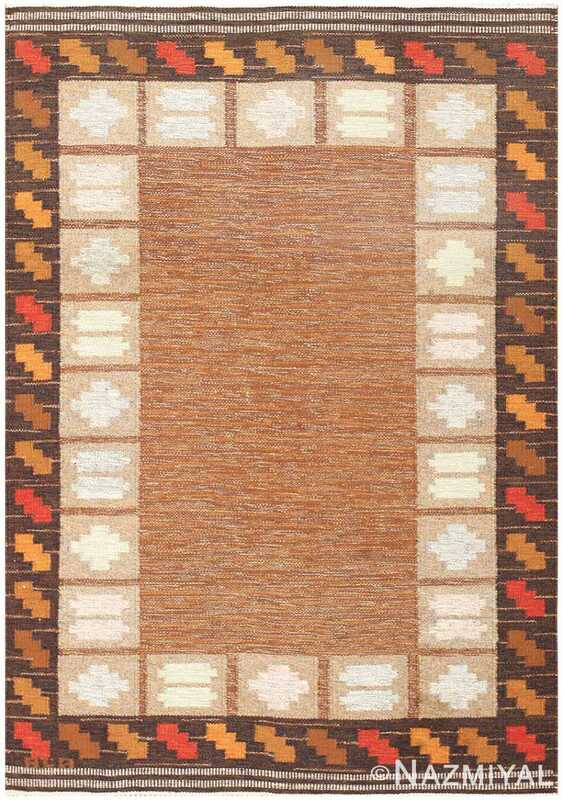 Simple and uncluttered, this mid-century Swedish kilim consists exclusively of a simple border and an unadorned field. 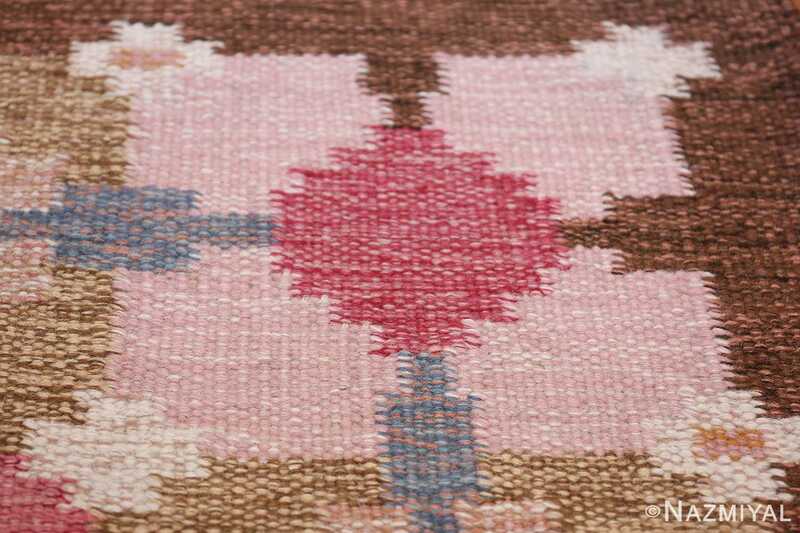 This vague reinterpretation of conventional carpet design speaks to the sensibilities of the mid-century weavers of Scandinavia, who celebrated the history of carpet design while giving it their own touch. 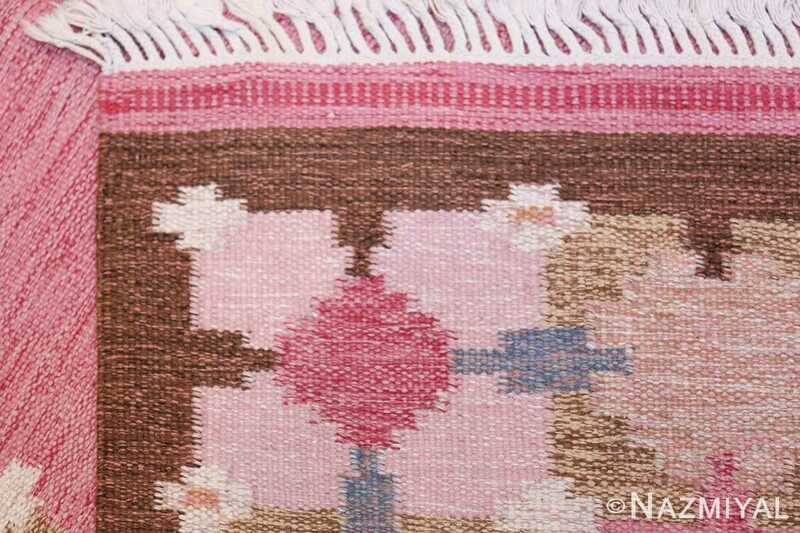 The border here consists of a series of abstract and outsized blossoms, bounded together by the hint of a grey vine scroll. 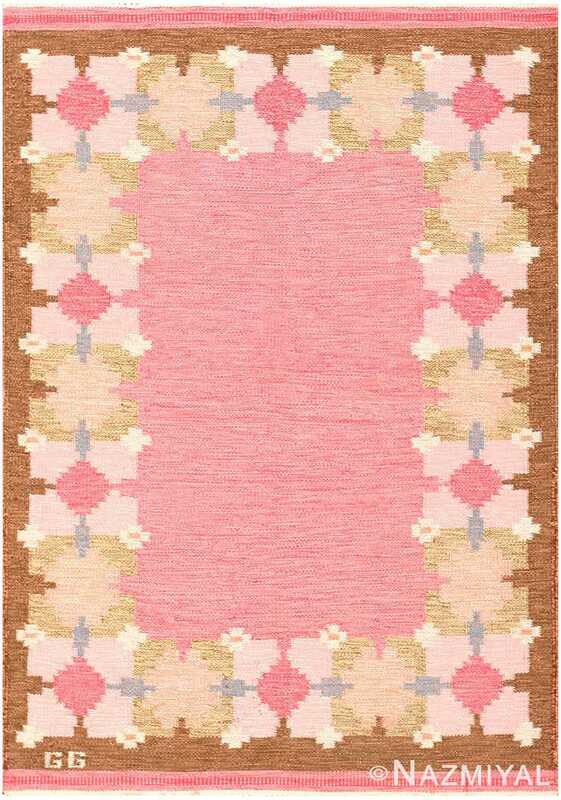 The undecorated field is a simple patch of pink, the emptiness of which infuses the carpet with a deep and lingering sense of modernism. 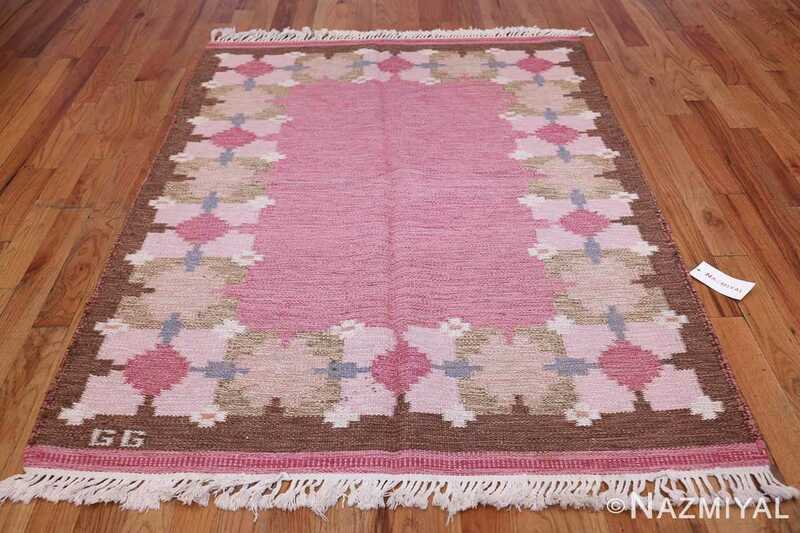 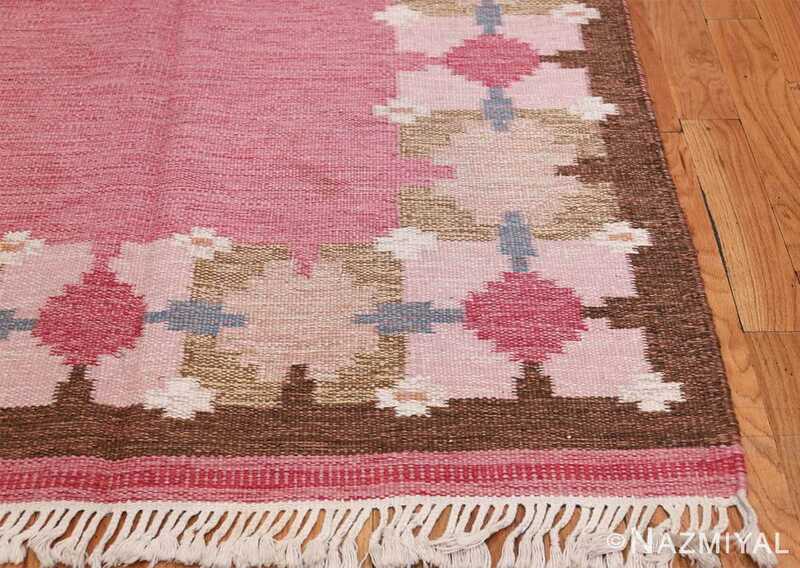 Boasting a lovely design characterized by a pleasing pallet of spring pastels, this vintage carpet is a charming example of a popular and important vintage rug style.